The residential buy-to-let market has been subject to significant tax changes over the past few years, and one result of this has been the growing popularity of commercial property investments. This is because, unlike residential buy-to-lets, purchases of commercial properties are exempt from the 3% surcharge in stamp duty. Meanwhile, the reduction in tax relief on mortgage interest payments won’t affect commercial properties, allowing commercial buy-to-let investors to fully offset mortgage interest against rental income. Commercial properties can offer great advantages to investors, but there are also many responsibilities to consider. Finding commercial tenants is never as easy as finding residential ones, and in many cases, it may require specific technical expertise. Your obligations to commercial tenants will also differ from residential ones — for instance, business tenants normally have rights of security of tenure under the Landlord and Tenant Act (1954). Keeping this in mind, investing in a real estate investment trust (REIT) rather than buying a physical property might be a better investment for you. REITs can offer returns comparable to those of physical properties, yet they are relatively hassle-free and offer the benefits of diversification. Shares in REITs are also more liquid, enabling you to cash-out of your investments much more easily. For investors looking for broad exposure to the UK commercial property market, British Land (LSE: BLND) is worth a closer look. The company, which invests in a mix of high quality retail assets and campus-focused London offices, currently trades at a 36% discount to its net asset value (NAV). As such, prospective investors have the opportunity to pick up shares in a prime commercial property portfolio for significantly less than the sum of its parts. Another advantage of British Land’s low valuation for prospective investors is the effect that has had on its dividend yield. The yield, which is inversely related to price, has risen substantially from a five-year historical average of 4% to 4.9% now. And looking ahead, shares in British Land offer a forward dividend yield of 5.1%, with City analysts expecting dividends per share will rise 3% this year, to 31p. Those tempted by its high yield should, however, be prepared for heightened volatility in the short- to medium-term. 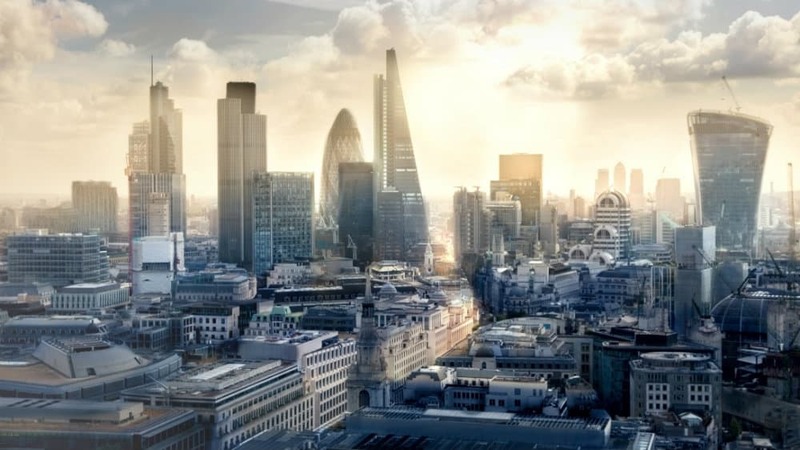 Sluggish UK economic growth has weighed heavily on valuations, and nobody yet knows for sure what kind of environment property markets will end up facing in the possible event of a ‘hard’ Brexit. Elsewhere, U and I Group (LSE: UAI) is another stock worthy of consideration. Although not technically a REIT, the regeneration-focused property company offers strong growth potential on the back of its broad and deep pipeline of developments. In cities ranging from London, Manchester and Dublin, it has a pipeline of existing projects with a gross development value in excess of £7bn, against the company’s NAV of just under £380m. This includes its partnership in the £1.1bn urban regeneration project in Mayfield, Manchester, joint ventures and a mix of public-private partnership (PPP) investments. Demonstrating significant progress on the re-positioning of its investment portfolio, development and trading gains last year totalled £68.3m. Looking ahead, management expects gains to be slightly lower going forward, with anticipated returns averaging £50m or more over the next three years. Trading at a forward P/E of 13.5 and offering a prospective dividend yield of 6.1%, value investors should keep an eye on U+I shares. Jack Tang has no position in any shares mentioned. The Motley Fool UK has recommended British Land Co. Views expressed on the companies mentioned in this article are those of the writer and therefore may differ from the official recommendations we make in our subscription services such as Share Advisor, Hidden Winners and Pro. Here at The Motley Fool we believe that considering a diverse range of insights makes us better investors.